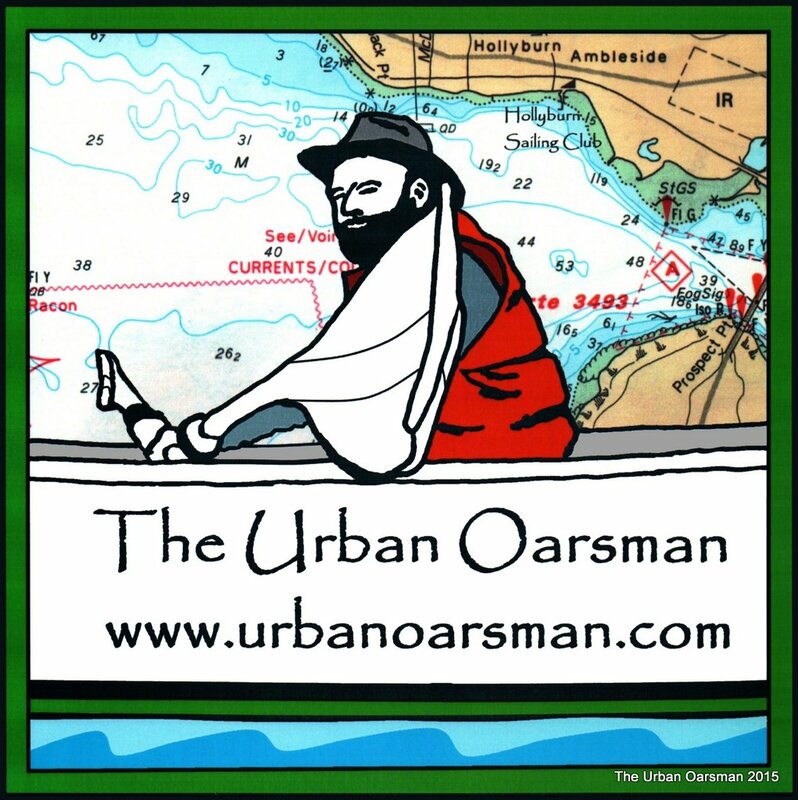 ← The Urban Oarsman, The First Row of 2015. 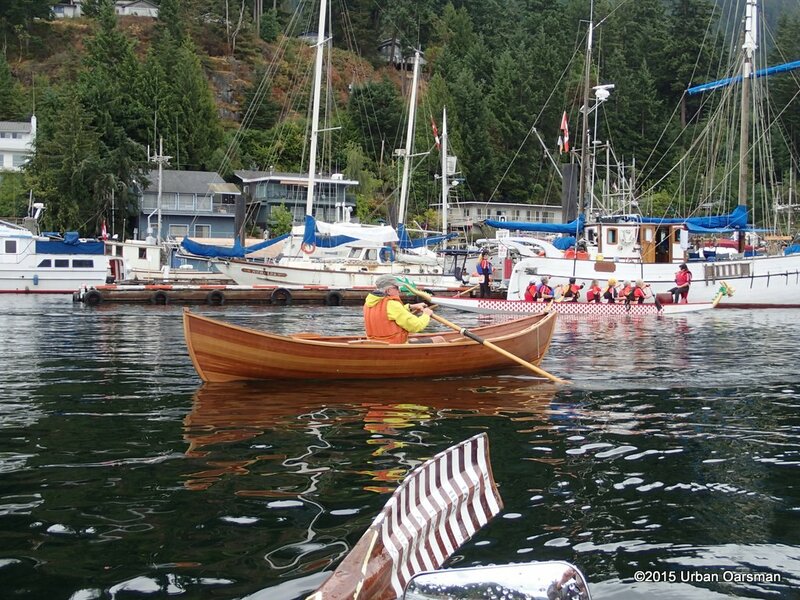 The Urban Oarsman Rows Gwragedd Annwn in Pender Harbour during “Pender Harbour Days” festival. On Friday July 10th, towing Gwragedd Annwn, My wife and I catch the 9:40 ferry from Horseshoe Bay to Langdale. The FJ and Gwragedd Annwn on her trailer are 32′ long. An extra $75.00 for Gwragedd Annwn. I can understand why traffic is down going to the Sunshine Coast. Good thing that we do not have to pay the ferry fare both ways! I understand that BC Ferries has a special, ($24 vs. $75 extra) that you can get on Wednesday & Saturday Evenings (sailings starting at 4:00 pm) and Sunday Mornings (sailings prior to 9:00 am), June 17 to September 13, 2015. Like anyone can fit those sailing times into thier schedule! I think that BCF just wants to be able to say that there is a deal avaliable, even if it is convenient to no-one. 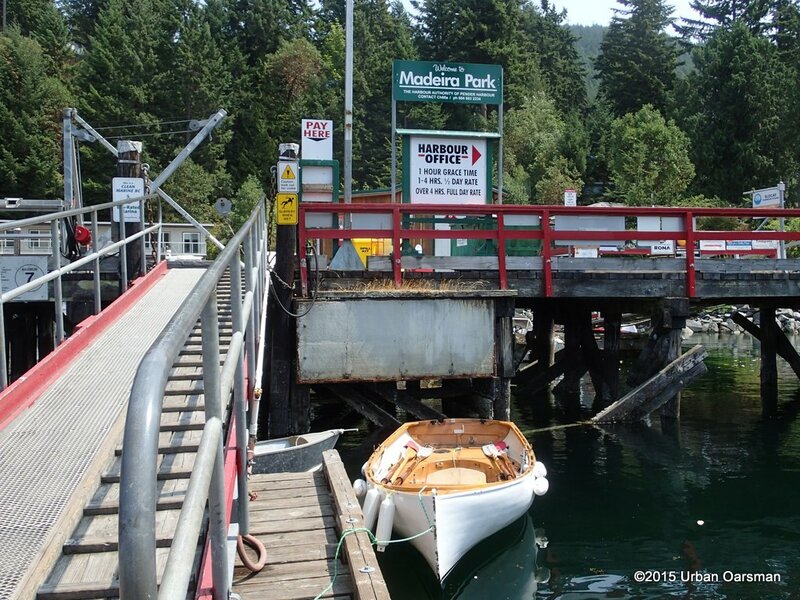 We have a leisurely drive up the Sunshine Coast to Pender Harbour, putting Gwragedd Annwn in the water at the Maderia Park boat launch. Gwragedd Annwn at the Maderia Park docks. 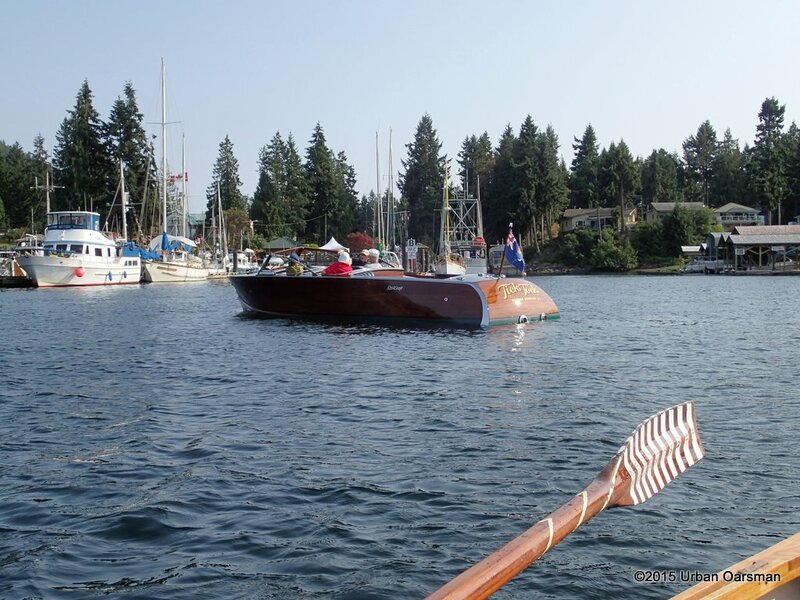 There is a boat Parade on Friday night, starting at 6:00pm and going until 7:30pm. There is a strong SW wind, 15 to 25 kts blowing. I will not be able to row the entire parade route. 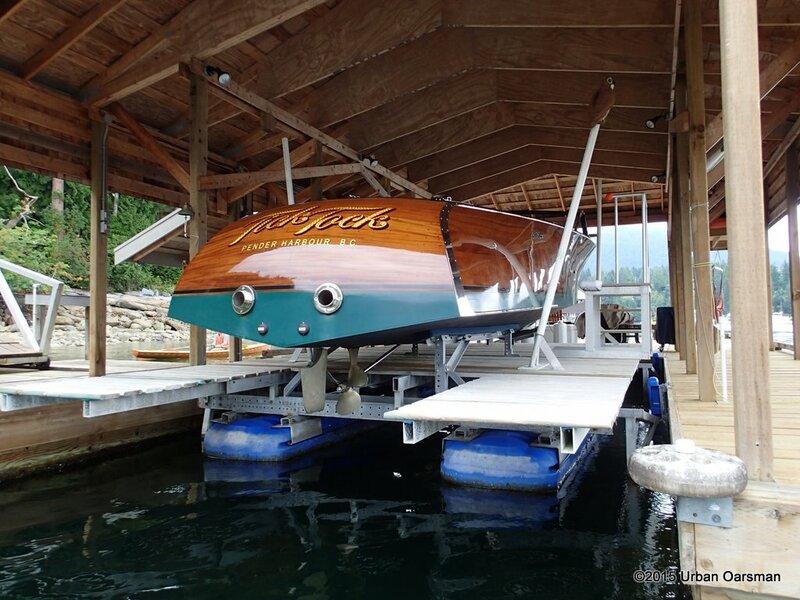 This is my wife’s favorite boat, “Tick Tock” a Stancraft from Pender Harbour. 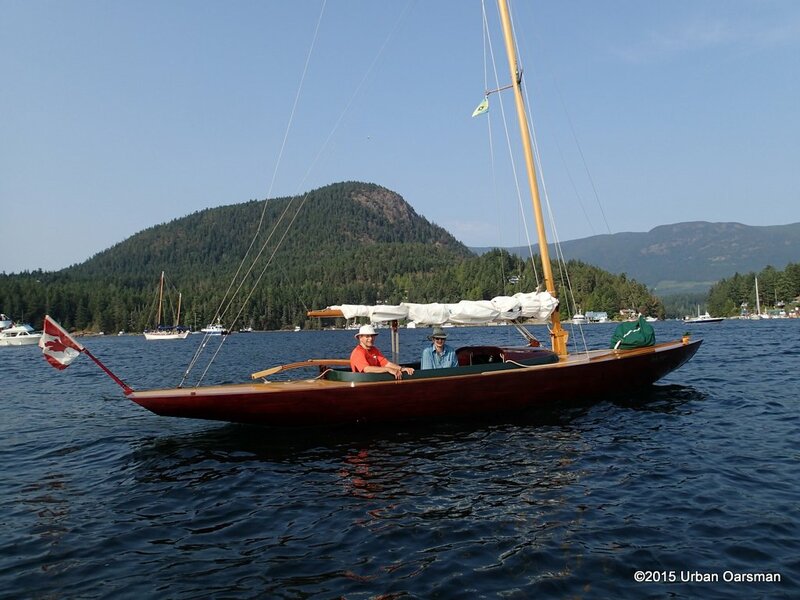 A very pretty “Dragon” class sailboat, The Lady Jayne, built in Pender. To see the route of the Boat Parade click here. Gwragedd Annwn on the hard at the Maderia Park boat launch. 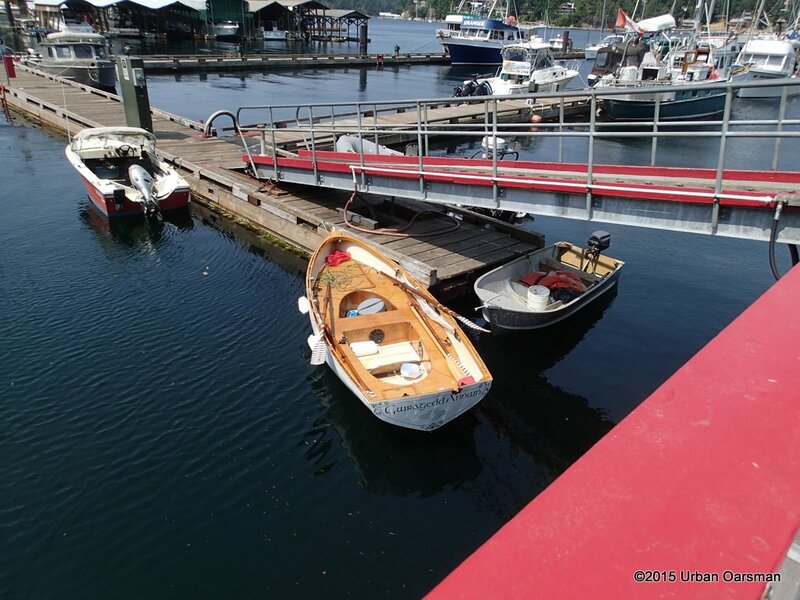 To the left is a “Painters Lodge” salmon rowboat and there is a newly-launched handliner “John Salisbury”, in the left background. 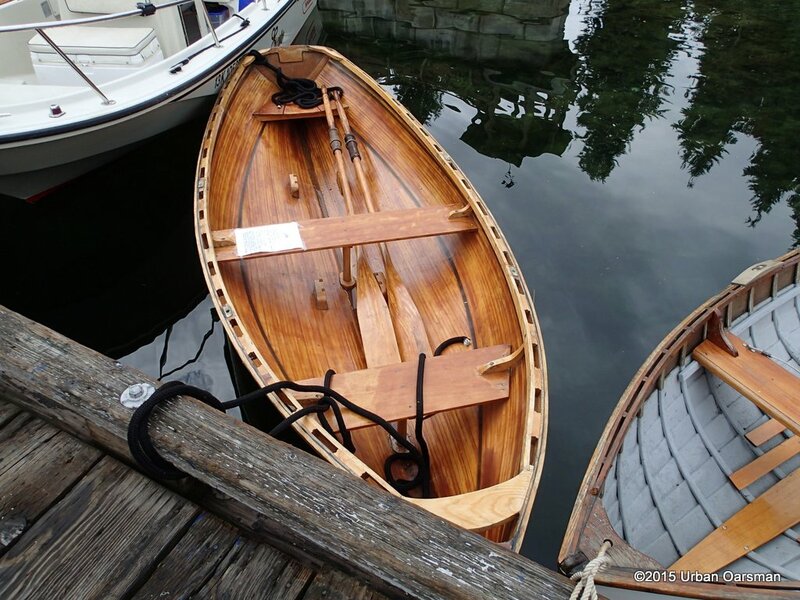 Also on the hard- a 12′ Ken Douglas rowboat, a Cosine Wherry, a Cosine Wherry style 10′ rowboat, Two Kayaks, A clinker inboard fishing boat, An Easthope engine and three British Seagull outboards. I spent most of the day talking to visitors about rowing, boatbuilding, clinker putt-putt boats and just about everything else. 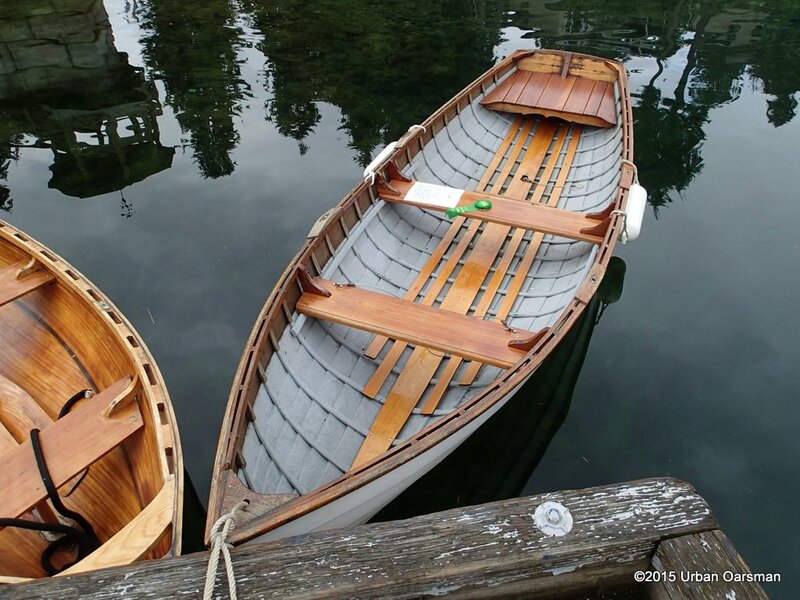 A nice pair of oars. On the Saturday afternoon, we got a bit of much needed rain. On Saturday night, my wife and I went to the Legion where they had a special “Pender Harbour Days” Hamburger BBQ supper. A hamburger, macaroni salad, green salad, potato chips and ice cream. Music by Skinny Jimmy & the Preachers. It was Skinny Jimmy’s birthday and he was presented with a cake. We sat wtih a friendly couple and enjoyed the meal and entertainment. Sunday morning all of the rowboats are in the water ready to row. There is almost no wind today. 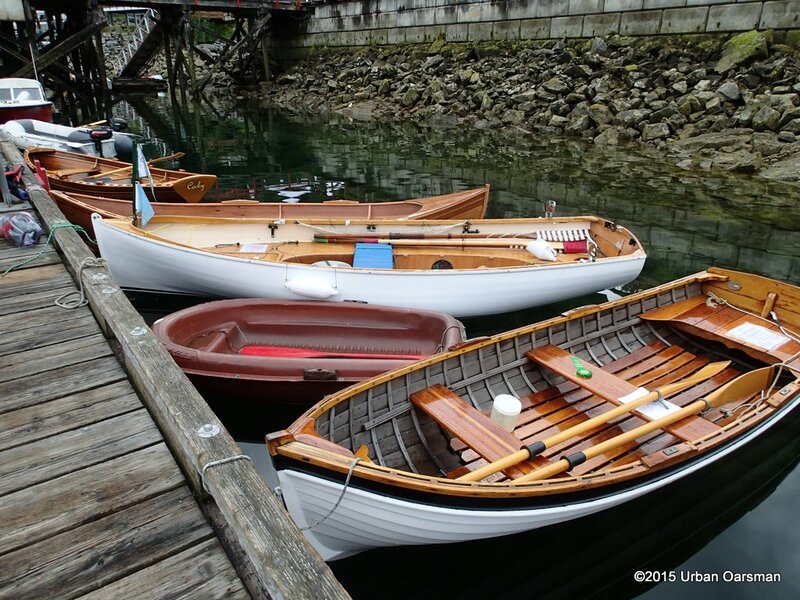 A Ken Douglas 12′ rowboat, Gwragedd Annwn, The newly-launched handliner and a Cosine Wherry. 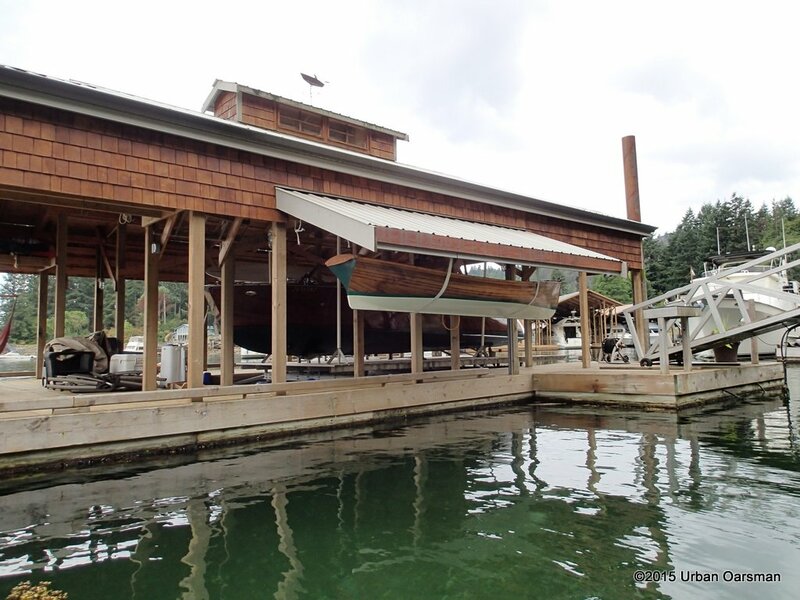 The Painter’s Lodge Salmon rowboat. 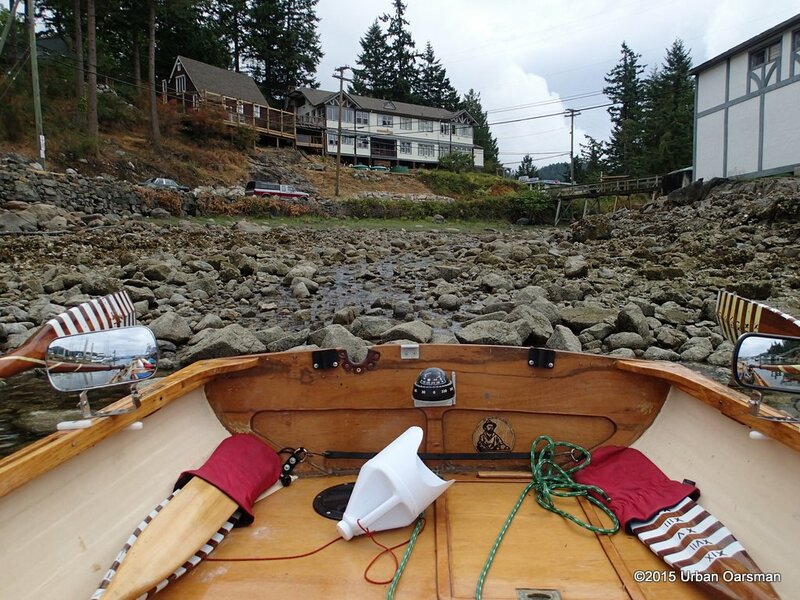 A 10′ strip-built rowboat that the owner (Bruce) claims to have found every rock in the harbour with. The Handliner sets out. 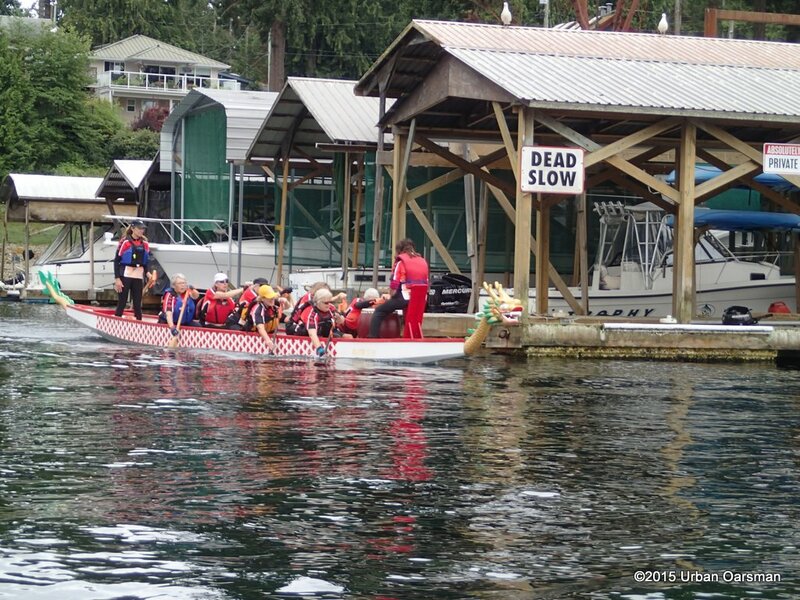 The Pender Harbour Dragon boat team is in the background. They are a body short. Don rowing his Cosine Wherry. 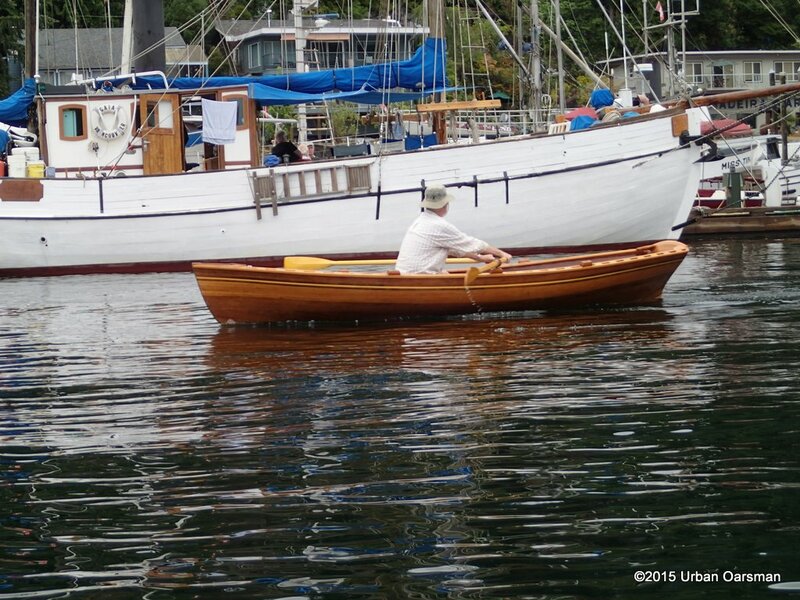 Bruce trying out “Fine”, Rick’s fast rowboat. Just after I took this picture, the firehall siren sounded and Bruce, a volunteer fireman, left to attend the call. The Dragon Boat team building up steam. Don by the Hospital Bay marker. 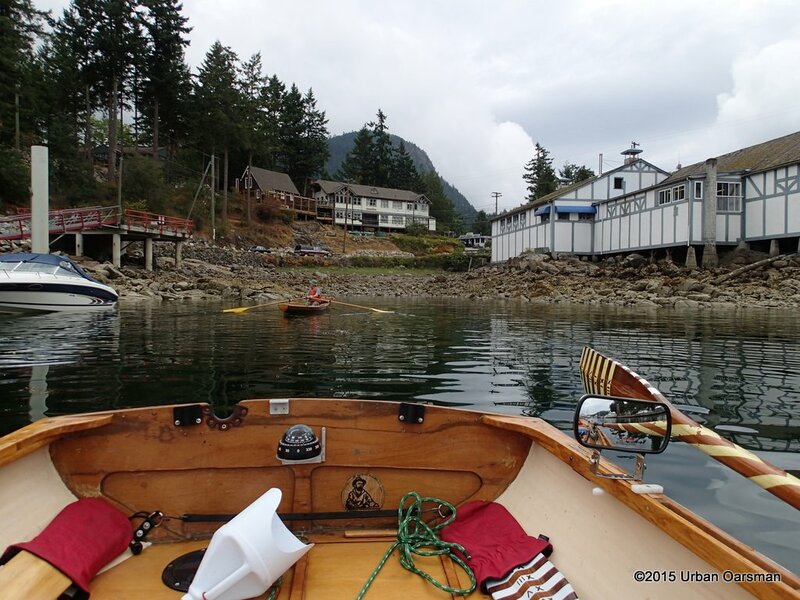 Rick rowing by “John Henry’s”, towards the Lagoon. The Lagoon outflow at low tide. No rowing in here today! 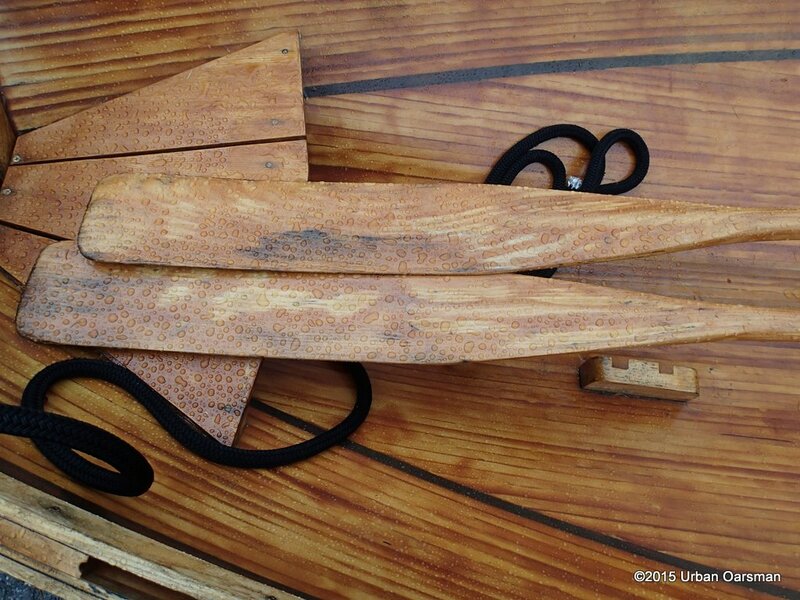 Cosine Wherry storage at it’s finest. Not bad for the Stancraft either. This boat is aground (sunken) on Dusenbury Island in Gerrans Bay. Pender Harbour Days were a blast!! Looking forward to next year. Thanks to Rick Crook for inviting me, Don Kernan and Bruce Thompson for inviting me to row with them. 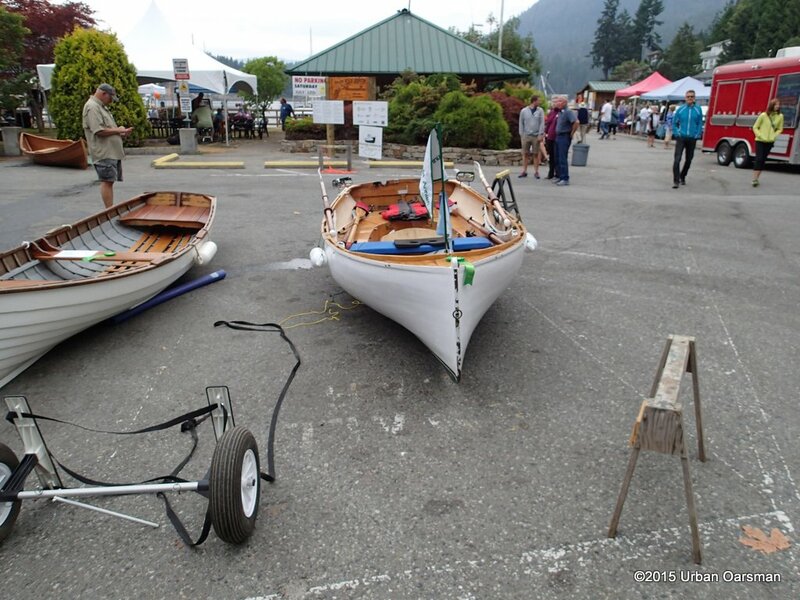 4 Responses to The Urban Oarsman Rows Gwragedd Annwn in Pender Harbour during “Pender Harbour Days”. Great post and pictures. It was great to meet you and Pat. Hope to see you on the water somewhere else this year. Just stumbled across your site. Beautiful work, photos and accounts of journeys. My background includes much rowing but now many years ago. 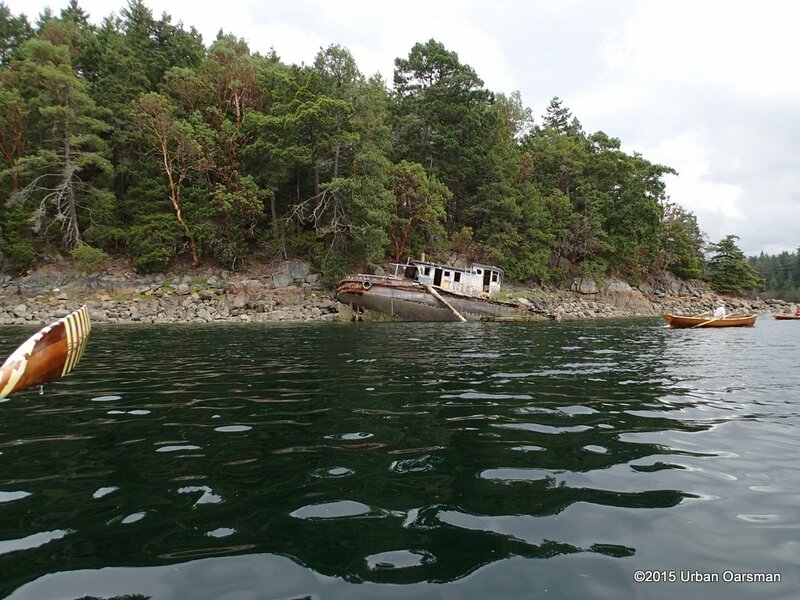 In recent years it has been canoeing, mostly here on Vancouver Island. I couldn’t help but think many times, as you passed interesting small waterways too narrow for your oars, that a canoe would be better suited. 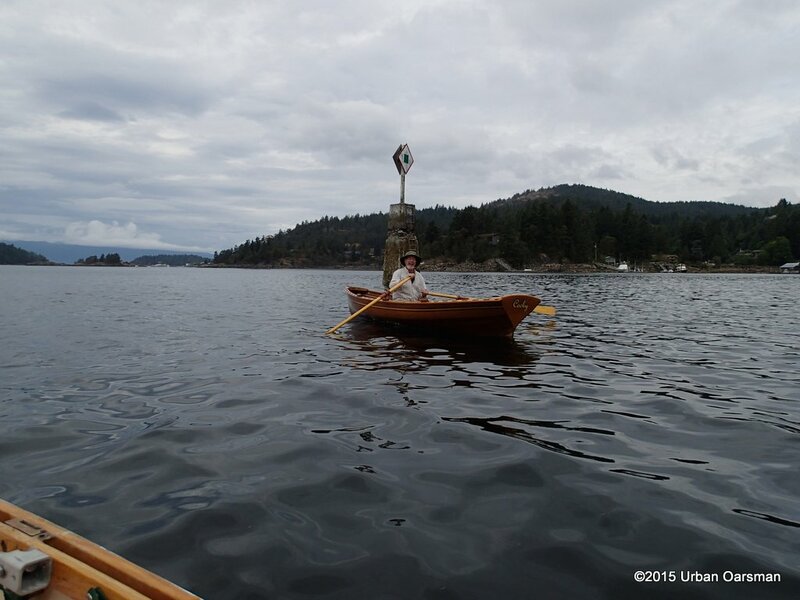 I once explored the Somenos lake and marsh in Duncan with a fellow who had his canoe fitted with oars. He rowed across the lake, but he also carried a single bladed paddle to which he resorted in the narrows of the marsh. Either way, the beauty is being on the water in a small boat. Inspirational blog you have created. Thanks. 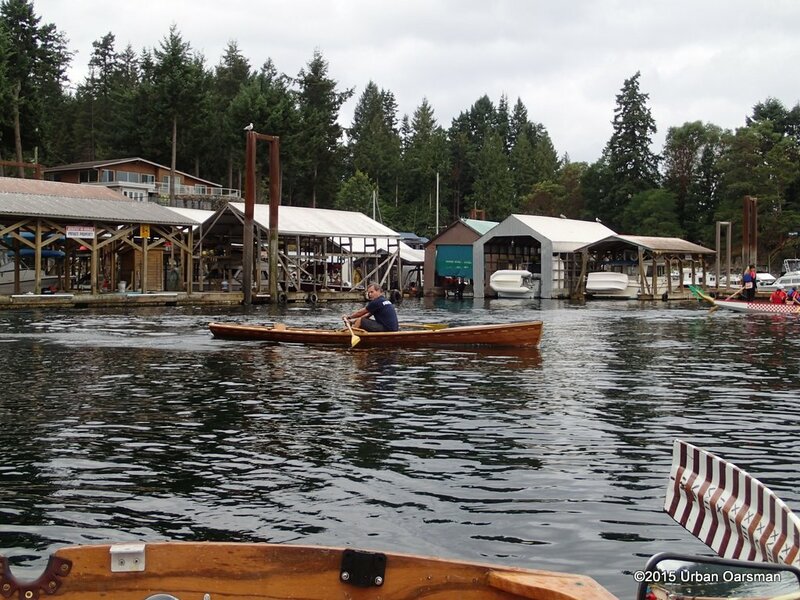 I have gone up many interesting small waterways too narrow for the oars. I have poled up many and have now put a sculling notch in Gwragedd Annwn’s stern and refurbished an oar to use in scullilng. I am teaching myself to scull. It is not as easy as rowing but I am getting better at it. Practice makes perfect and the practicing is fun to do. 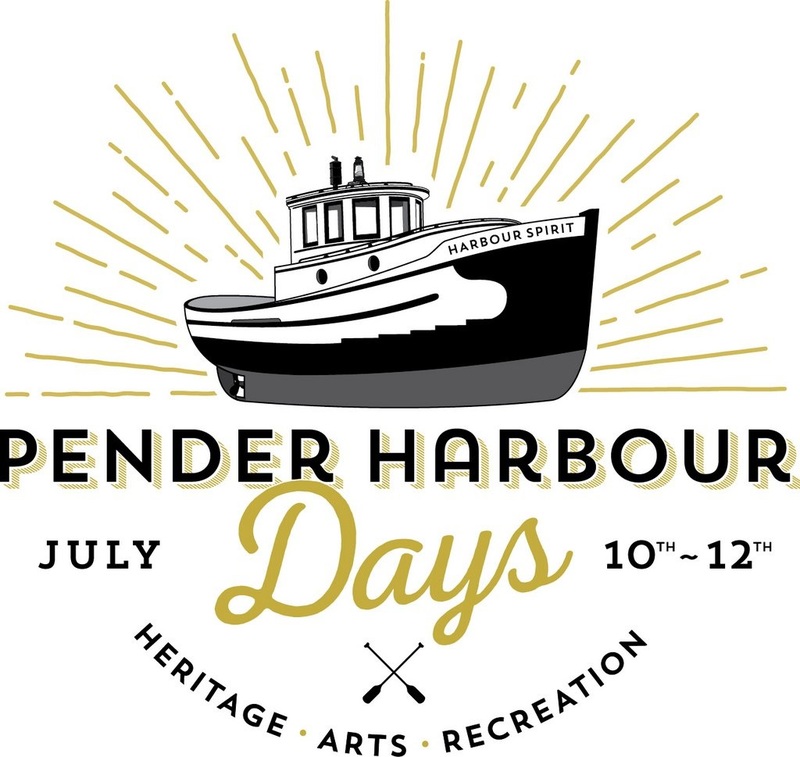 Pender Harbour days is on again; july 8,9,10. The usual suspects will be there, as well as a few new ones. 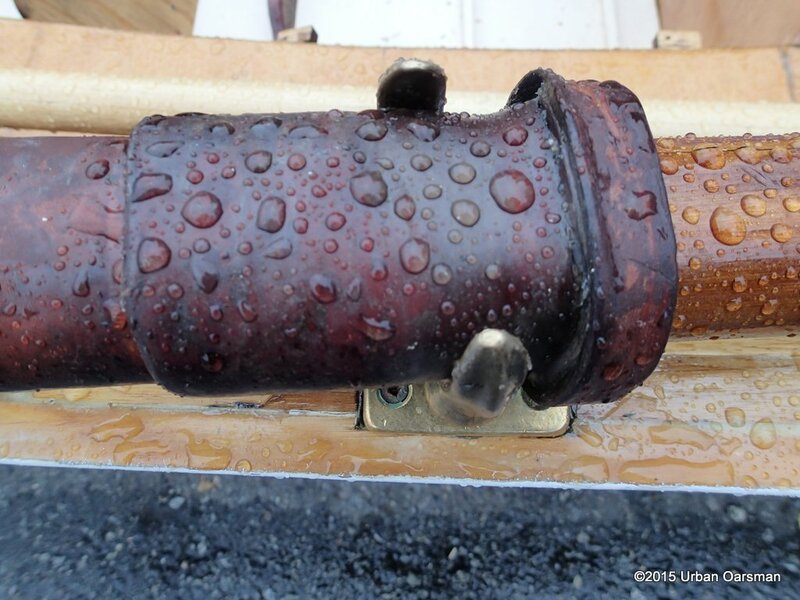 You might be interested in a gas inboard about 11 feet, that apparently has a motor that dates back to 1900 or so. I saw it 5 years ago, idled at 500rpm. we’ll shoot for the same schedule more or less, but with less rain….